One of the artists that have always been on the 'must have' list is Grant Haffner. His landscapes aren't dramatic but the colours and their combinations take you places. That's why this capsule is inspired by him. Colour is power! This sustainable capsule wardrobe was created with a creative casual style in mind. It has a unique, vibrant and exciting colour palette that was inspired by the artwork of Grant Haffner. 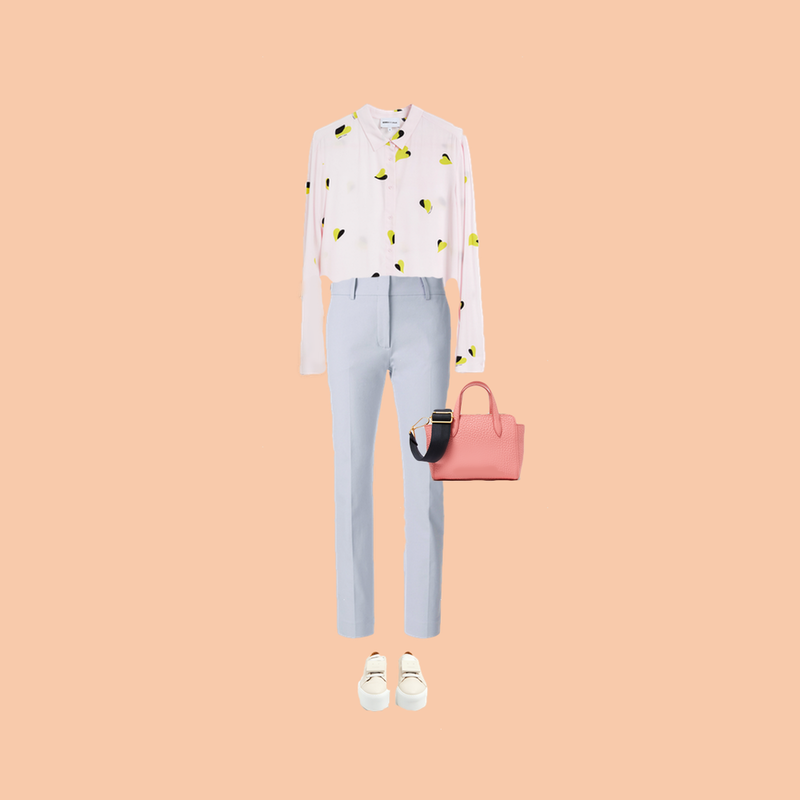 It includes 3 tops, 2 bottoms, a pair of shoes and a bag that create 6 beautiful outfits for different purposes: office hours, meeting friends and even going to a party. All the clothes used to compose this wardrobe are ethically produced so you can feel beautiful while you save the planet. around €1566 ($1944/ £1388) incl. shoes and accessories. around €1031 ($1280/ £913) excl. shoes and accessories.